Active Network is delivering mobile technology for attendees at the Macworld event in 2013. 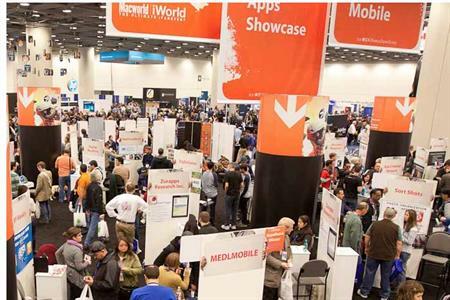 The Macworld/iWorld 2013 event - formerly called the Macworld Conference and Expo - is being held on 31 January to 2 February in San Francisco, and is expected to host up to 25,000 delegates. IDG World Expo, the owner of the Macworld and iWorld event, has chosen Active Network’s Conference platform to help its event management in terms of tracking attendee activity, delivering content to mobile devices at the event, and providing event analytics. IDG World Expo chief executive Mary Dolaher said: "The face-to-face event experience is evolving quickly, and conference technology needs to evolve with it. Beyond managing logistics, we need event technology that facilitates engagement and measures the value of face-to-face activity in concrete business terms." Meanwhile, Active Network’s UK base is working with Cisco this year, to deliver its Conference technology platform at Cisco Live at the ICC London Excel from 28 January to 1 February 2013.